HTC caught us all by surprise when it launched the Butterfly J last year. 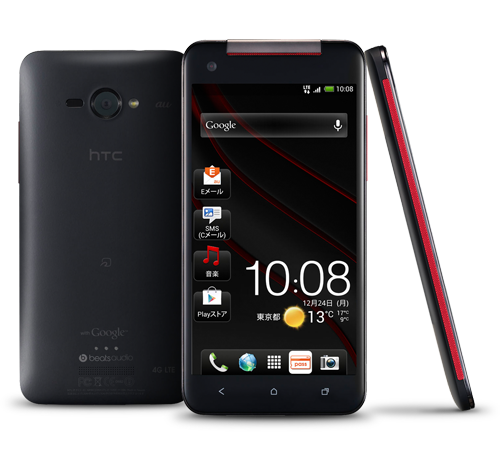 The device was initially stated to be exclusively for the Asian region but then the company decided to launch it in the US with a new name, the HTC Droid DNA. There are now new rumors flying around hinting towards a possible launch of a new device in the Butterfly Series, the HTC Butterfly S which according to some rumors could be launching as early as this month in China and from what we are anticipating, the Butterfly S just like its predecessor the Butterfly J would make its way only in the Asian region. As far as the hardware is concerned, the new (and improved) Butterfly S would be sporting the upcoming Qualcomm Snapdragon chipset with strong rumors suggesting that it might just be the new Snapdragon 800 SoC, 2GB RAM, a4MP “Ultrapixel” camera, HTC Sense 5.0 with BlinkFeed, 5-inch 1080p HD display, a powerful high capacity battery and most importantly an SD card slot for additional memory a feature which would be welcomed by most HTC user’s who mostly complain about the non-availability of an external memory card slot in their respective slots. Till now these are only assumptions as per the rumors that we have heard however there is no official word from the Taiwanese company as yet. We’ll take a more detailed look into the device once it gets officially launched this month so do stick around !